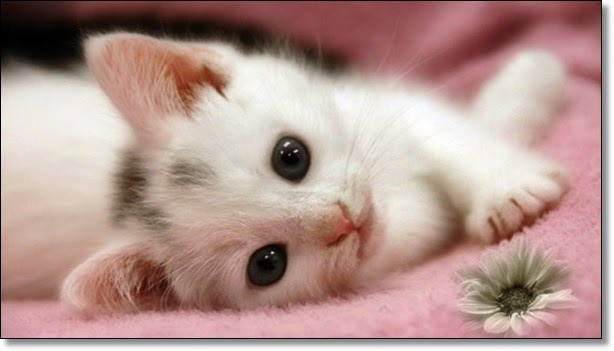 Are You Thinking About Adopting a Kitten? - 10 Reasons Why You Should Adopt Two Instead of One! Are you thinking about adopting a kitten? Here are 10 Reasons why you should adopt two instead of one! 1. You're saving two lives instead of one. If it's kitten season, that's one more kitten that will get a home instead of growing into an adult which will decrease its chance of getting adopted." It is entirely true that kittens are much easier to place than adult cats, and the 15-month-old cat you see in the shelter today is very likely a holdover from last year's crop of kittens. Another way of looking at it is that it's better to get all the kittens adopted out right away, to give the older cats a better chance at finding homes. A kitten left alone during the day can become lonely and bored, which sometimes can lead to mischief. Two kittens will never be lonely, especially if they are siblings. In fact, you'll often find situations in shelters and rescue group adoption where a cage will contain two kittens with a sign, "These kittens may be adopted only as a pair." 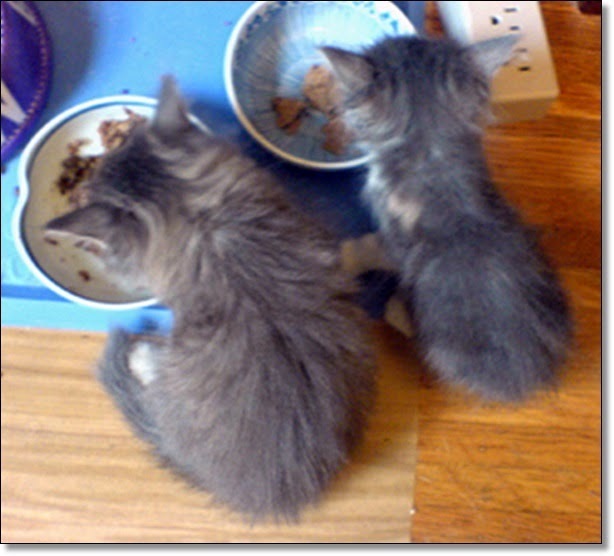 Shelter volunteers recognize that siblings really need to stay together. And since shelters are often frightening, unfriendly places to small creatures, unrelated cats often form close bonds that should be respected when adoption time comes. 3. 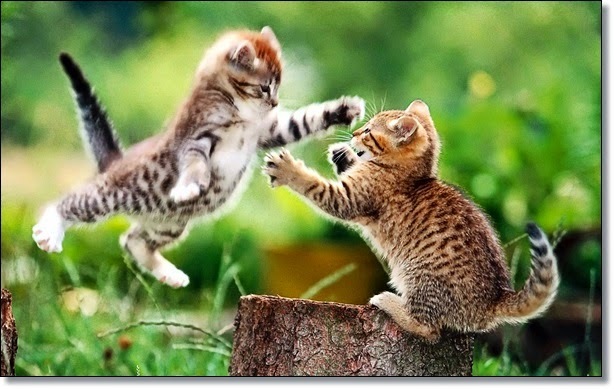 One kitten can just drive an older cat nuts. Although it might sound contrary, an older, established cat will probably accept two kittens better than one. 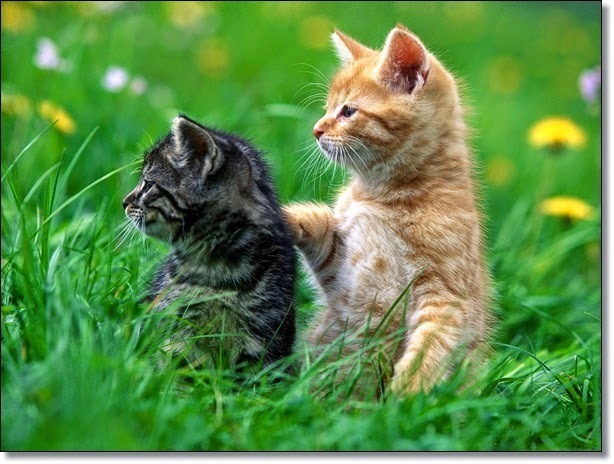 One kitten will seek out the older cat as a playmate, or worse, tease and pester the senior cat which can cause stress to an older cat. The kitten in return, will be "rewarded" for his playful efforts with hisses and swats. Two kittens will expend their energy in play with each other, leaving their older "uncle" to relax in peace. 4. Two kittens will "self-train." Kittens learn by copying. 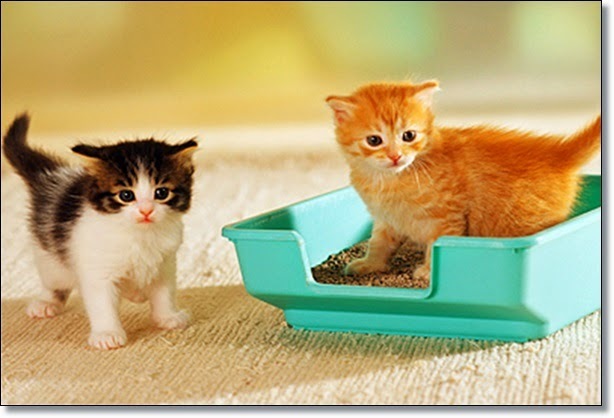 If one kitten is quick to learn appropriate litter box use, the other will be likely to copy. 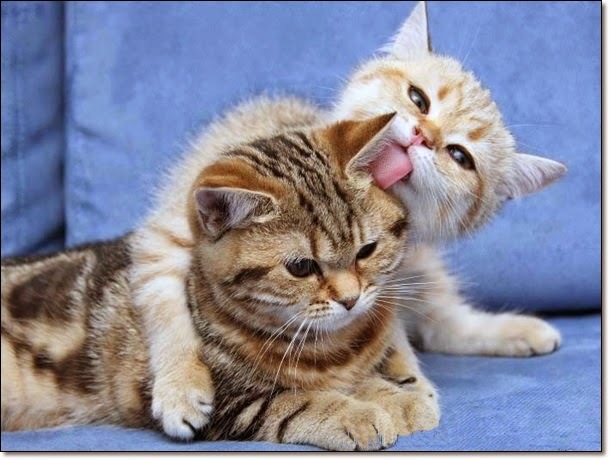 They also help each other with grooming; washup after meals soon becomes a ritual with two kittens. 5. They help each other burn off energy. Even the most devoted human caregiver can quickly become exhausted by trying to keep up with the energy of a single kitten. Two kittens will play until they wear each other out, leaving their human parent free to just enjoy watching them. The downside to this, of course, sometimes you have double trouble, too! 6. Fewer behavior problems with two kittens. 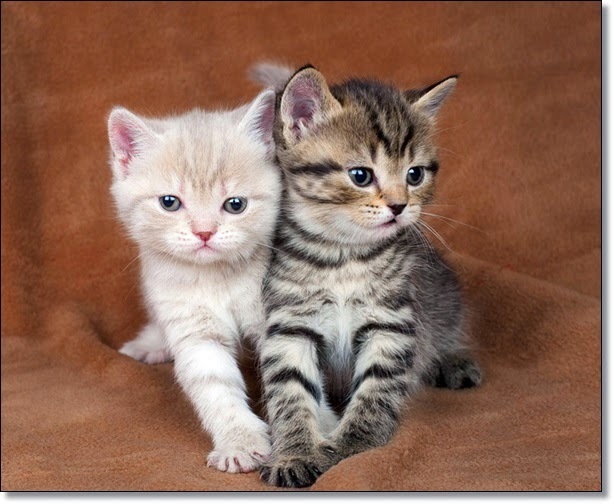 Many people who experience behavior problems with kittens find that some of them go away when they adopt another playmate. What may be perceived as mischief is often just the result of boredom. Much like their human counterparts, kittens sometimes misbehave because "negative attention is better than no attention." 7. Curiosity overcomes "food finickyness." 8. They act as pillows for one another. Kittens will often play so hard that they simply flop where they are, and more likely than not, they will flop next to (or on top of) each other. 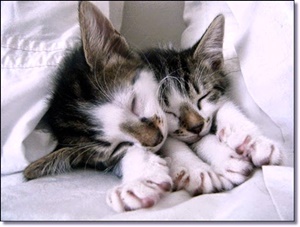 There is no sight so endearing as two kittens curled up together for a nap. Their peaceful innocence can soften the heart of even the grumpiest curmudgeon, and the sight of that blissful moment will wash clean the slate of their previous misdoings. 9. Having two kittens is insanely fun. They're just so much darn fun to watch! 10. They will each have a friend for life. 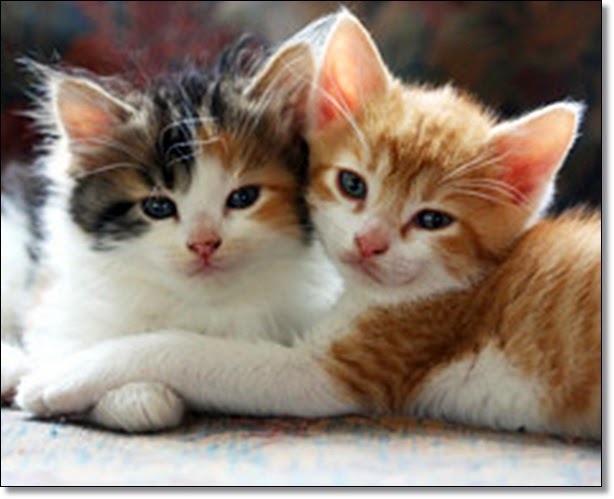 Two kittens who grow up together will almost always be lifelong friends. Although they will sometimes have their little squabbles (what friends don't?) you will more often see them engaging in mutual grooming, playing together, and sleeping with their best pal. If you are considering adopting a kitten, think about your best friend and consider whether you would deprive your kitten of the enrichment a friend brings to life.